With the end of the Cold War, Italy had to rethink its rôle inside NATO and priorities, notably towards its northeastern borders. Its first test, before any reorganisation, was its participation in the worldwide coalition that was aimed at defeating Saddam’s Hussein’s Army and liberate Quwait. “Operazione Locusta” was the code name for “desert storm”, italian side, but it only concerned the air force, with raids of Panavia Tornado covering the ground assault and making strikes in the preparation phase. At that time, the Italian Army was in full transition, with ageing M48/M60 Patton overdue for retirement, new Leopard tanks, and several programs of modernization of the existing fleet of M113 APCs. Yet in a space of a decade, the Army took delivery of a brand new array of remarkable vehicle, from the Ariete Main Battle Tank to the Dardo IFV, reminiscent of the Marder, and the wheeled Centauro tank destroyer and Freecia IFVs, the light Pumas, as well and locally produced and modernized M113s like the VCC-1. The Ariete MBT (1995), developed by OTO melara and Iveco-Fiat and based on the previous experience in the Leopard and OF-40. 200 are currently in service, replacing the M60s and Leopards. 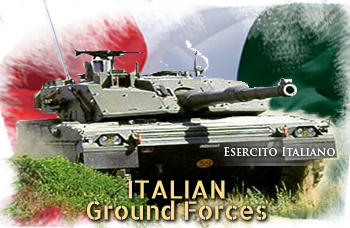 With the B1 Centauro tank destroyer (1986), Italy inaugurated the wheeled tank destroyer genre. 400 were built, plus the Spanish vehicles, Jordan and Oman. The Freccia IFV, derived from the Centauro (1990); 250 are in service. The Dardo, main tracked IFV of the Italian Army (1998) produced to 200 vehicles so far. The Puma 4×4 and 6×6 wheeled APCs family (1999) was produced to 570 vehicles combined, both the Italian Army, Libya, and the Argentine Army. The Iveco LMV Lince 4×4 recce (2006) is perhaps one of the most outstanding export success of the Italian Industry in the recent years. It is highly modular, with MR capabilities (V-shaped underbelly), and derived into the Panther Command and Liaison Vehicle (CLV). 11 countries purchased it, included Russia.